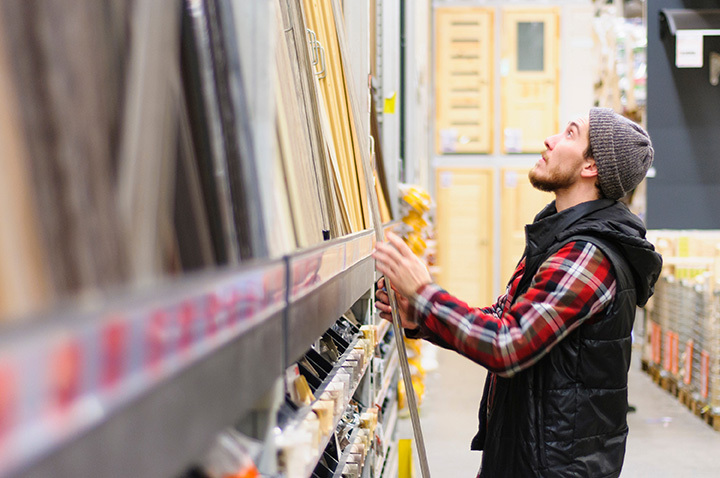 Whether you’re in a bigger city or a smaller town, a hardware store is a cornerstone of the community—especially in Montana, where we usually prefer to do things ourselves. These locally-owned hardware stores of Montana are among the best. From product expertise to a great selection, here are our favorites in the state. With two locations in the city for which its named, Billings Hardware is a go-to favorite for pros and do-it-yourselfers, alike, in the state’s largets city. Anything you need to get your projects done right, hammers to bolts, hasps to bearings, you’re sure to find what you’re looking for at Billings Hardware. Three Southwest Montana locations make Kenyon Noble Lumber & Hardware a favorite among hands-on folks in Montana. Any one of their stores offers the kind of hardware experience where you can either go in and get exactly what you need or wander around and see if there’s anything you might just like to have. Find locations in Belgrade, Bozeman, and Livingston. Badger Building Center is big—they have a lumber yard—but they are by no means a big box store: It’s an independent small business run by Flathead Valley locals. They stock top brands and have a depth of knowledge you’d expect hometown hardware store, while stocking all the construction supplies you’d need for a major project. In Glendive, if you’re either a professional looking for a project partner or a homeowner in need of some good advice, Guelff Lumber can surely help you out. A family-owned business, Guelff Lumber has been helping folks find what they need to complete their projects—from start to finish—for years. Although Lumberzacs, in Hardin, just took on the name in 2017, the business has been a going concern for years. In addition to lumber and building supplies, Lumberzacs carries a good selection of tools and hardware, so you won’t have to go too far to find what you’re looking for. Locally owned and operated, Don’s Home Center & Building Supply has been helping builders and tinkerers in the Bitterroot Valley for more than two decades. They have complete lines of building supplies and hardware at fair prices, and can also offer local delivery on many orders. Blue Sky Building Supply has thousands of products to help folks in Lewistown to maintain their homes, cars, or anything else that needs a part, piece or tool. They even sell grills and offer screen cutting and repair. So if you need some paint, a pair of pliers or a post-frame building, head over to Blue Sky. They’ll get you all set up. Built into a defunct movie theater, Charlie B’s Hardware has just about anything you’d need in Gardiner. With a location that’s so near the North Entrance to Yellowstone National Park, they also have a solid selection of RV and trailer parts, as well as accessories. The staff are insightful, experienced and chock-full of good advice. In Forsyth—the City of Trees, on the Yellowstone River—folks have relied on Clark Hardware for years. Located in a historic building, Clark Hardware dispenses all the tools, fasteners, paint, tall tales and good advice that you could want from a hometown hardware store. In Billings, the S Bar S Building Center offers on-site construction as well as pre-built storage buildings, but it is also home to 17,000 square-feet of hardware store and lumber yard. If you need hand tools, power tools or something on which to use them, you’ll likely find it at S Bar S.